The Cullen was the first Art Series Hotel to open its doors. 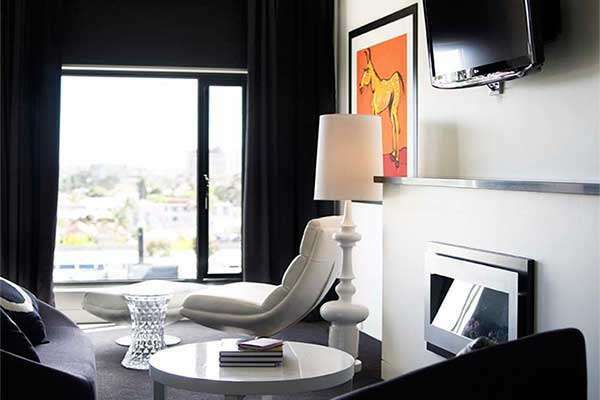 Vibrant, daring and unique, the hotel feeds off the colourful surrounds of Commercial Road and Prahran and exudes the energy and vibrancy of Adam Cullen's work. 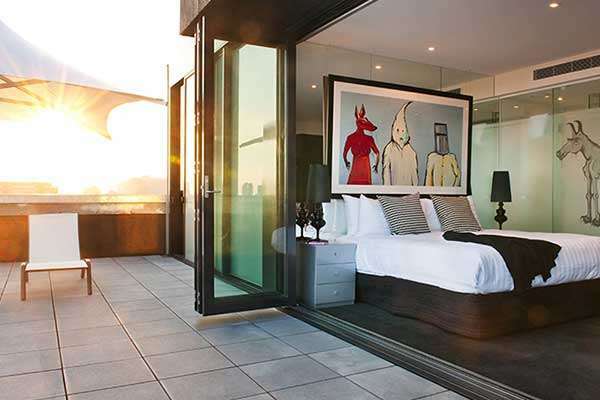 The Cullen offers not one Melbourne penthouse, but two urban and edgy penthouses, Lady Luck and Growler. 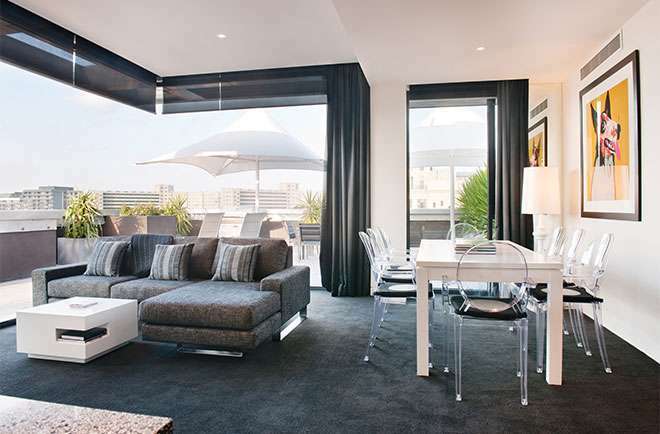 As the ultimate in Melbourne Penthouse accommodation options, the suites offer private bedrooms, private ensuites, signature amenities and an expansive rooftop balcony. Plus you'll have complimentary access to our eco-friendly Smart Cars to make zipping around town easy. 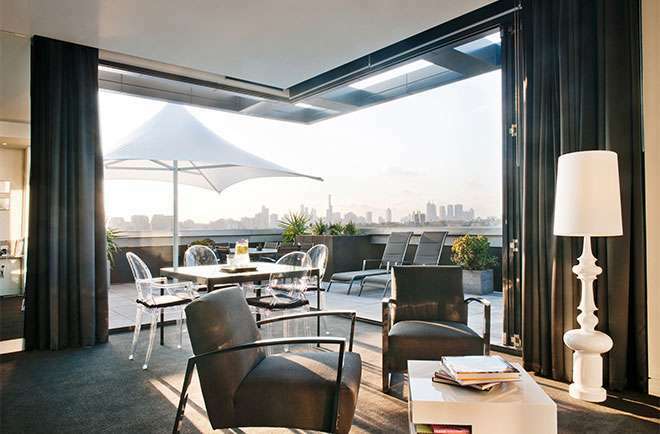 Located on the sixth floor, the coveted Melbourne Penthouses offer over 56 square metres of deluxe living. 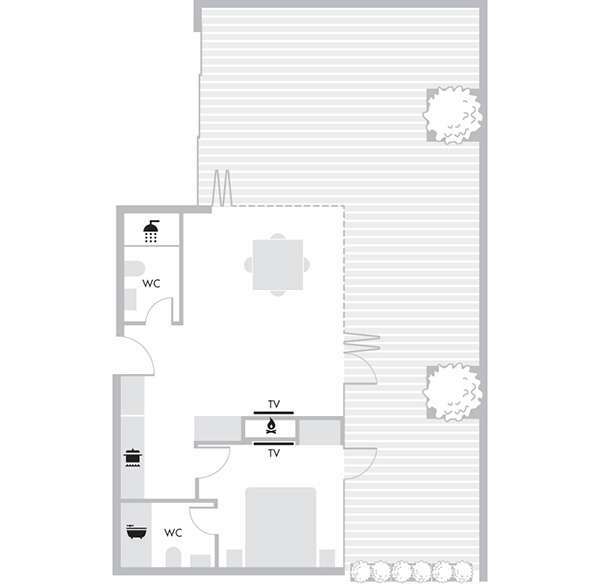 The luxurious one bedroom suites have separate living and dining areas with deluxe furnishings and state-of-the-art kitchen facilities. Accentuated by a spacious entertaining balcony complete with BBQ and stunning Melbourne CBD views, even the most discerning of friends will be impressed. Sleep with one eye open with Cullen’s works adoring your walls and wake up firing for a brand new day.